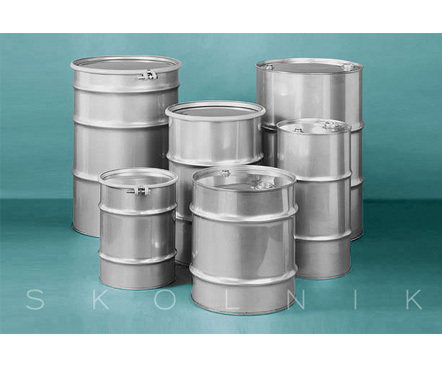 Stainless Steel Drums Skolnik Stainless Steel Drums offer an ideal solution for products requiring drum purity and compatibility of materials, depending on their composition. Due to unique properties, these drums can outperform carbon steel drums in terms of corrosion resistance, tensile strength and reusability. 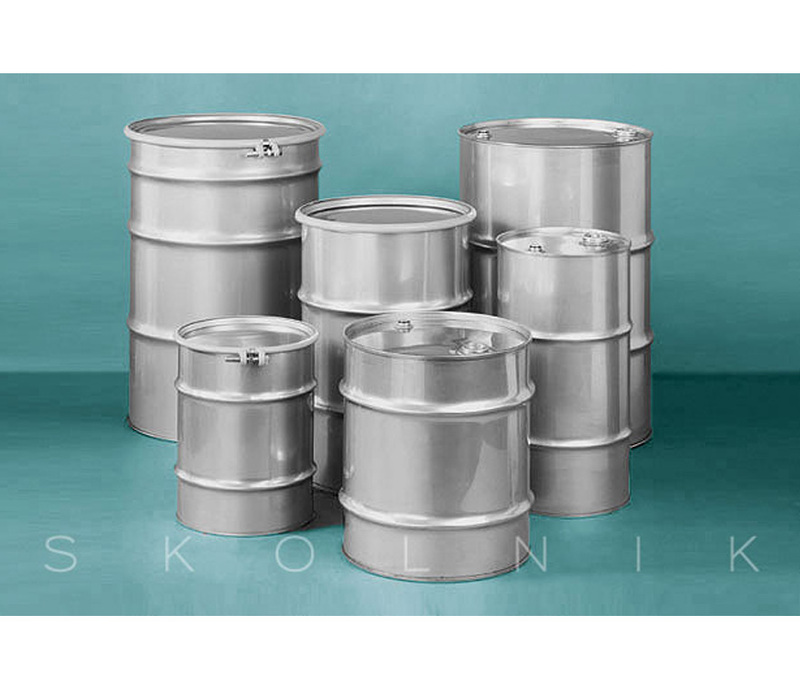 Skolnik Stainless Steel Drums are available in stainless types 304, 316 and 409, as well as a variety of gauges and sizes. Skolnik Drums produced in compliance with UN and DOT regulations are also available. Our products are thicker, heavier, and stronger than industry standards require, offer extreme durability, and comply with domestic and international regulations. Contact us at 1-866-222-2449 for additional information.